Quaint pâtisseries sit alongside ancient bars and galleries abut chic boutiques in Chueca. With a seedy past (prostitution, drugs, and so forth) and a monied present, it vaguely suggests today's Lower East Side. 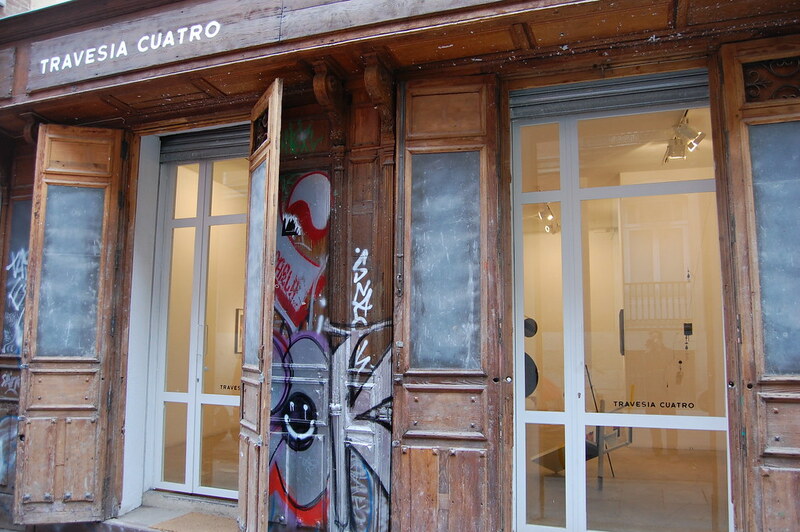 It is also home to some of the stronger members of Madrid's younger art generation. Approaching age thirty, they’re one of the older galleries in Chueca, and, though their biggest star is probably Ryan McGinness, their fifteen artists generally occupy points far away from his manic effervescence. Chema Madoz, for one, detourns commonplace objects into eerie, sometimes frightening sculptures. For A Coney Island of the Mind, the group show we saw, he contributed a Gucci perfume bottle rebuilt as a hypodermic syringe. 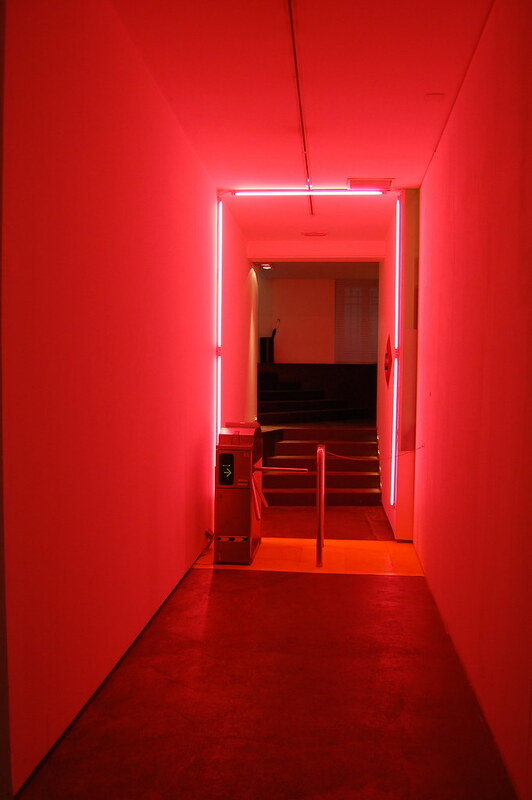 To enter, you had to use a subway ticket printed with poetry (provided by the gallery) to pass through Darya von Berner’s subway turnstile bathed in pink neon light. Thanks to the strength of the work inside (many from the gallery’s roster), it was a bit of theater that functioned perfectly. 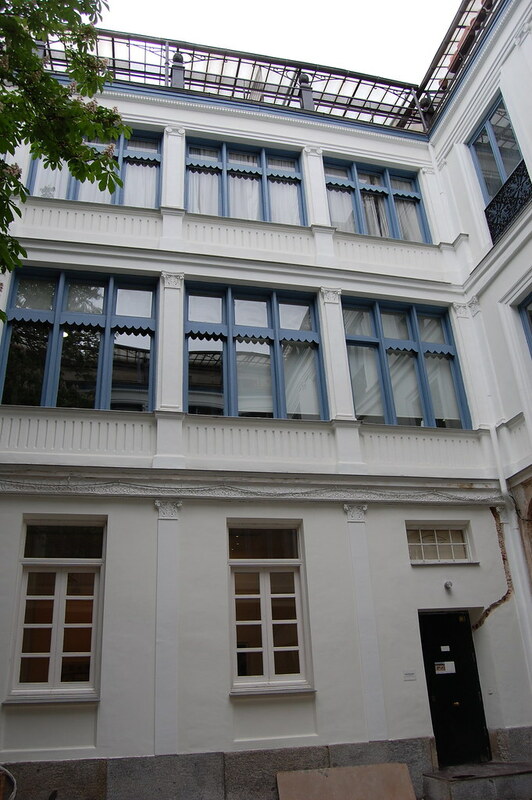 Part of Heinrich Ehrhardt’s office is located above the floor of the gallery, overlooking the main space like a sentry tower. At first it felt awkward, as if we were being watched from above. After overcoming that feeling, though, viewing art here was a pleasure, especially because the space is tucked within a quiet courtyard off of San Lorenzo. Ehrhardt represents Ulrich Rückriem, Pedro Reyes, Anselm Reyle, and Tobias Rehberger, among others, with roots going back to the early 1980’s. Also hiding off San Lorenzo, Elba Benítez shows work by Beatriz Milhazes, Ernesto Neto, and Vik Muniz (who must have more gallery representation than any other living artist), along with nearly a score of other artists. 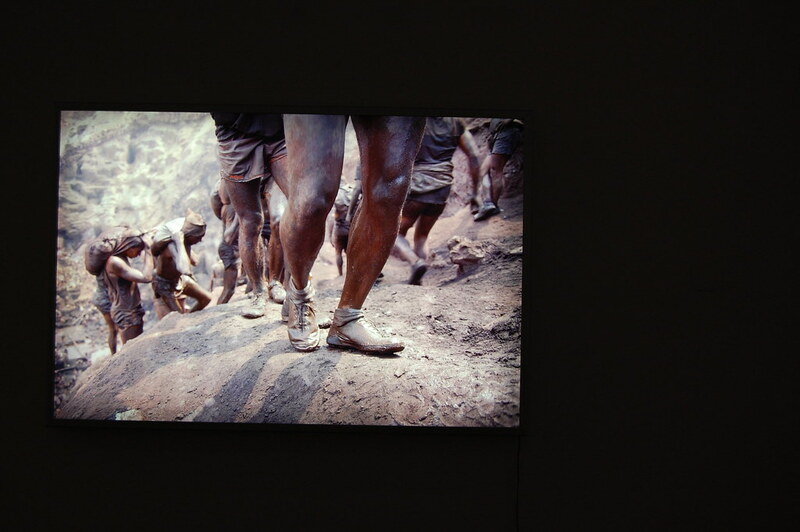 David Goldblatt was showing photographs taken in South Africa for his In the Time of AIDS project when we visited. They’re celebrating their twentieth birthday next year. My stellar Spanish skills (honed largely via extensive use of Google) can tell you that their name means “Crossing Four” or “Passage Four”, a reference to the location of their shop when they opened back in 2003. 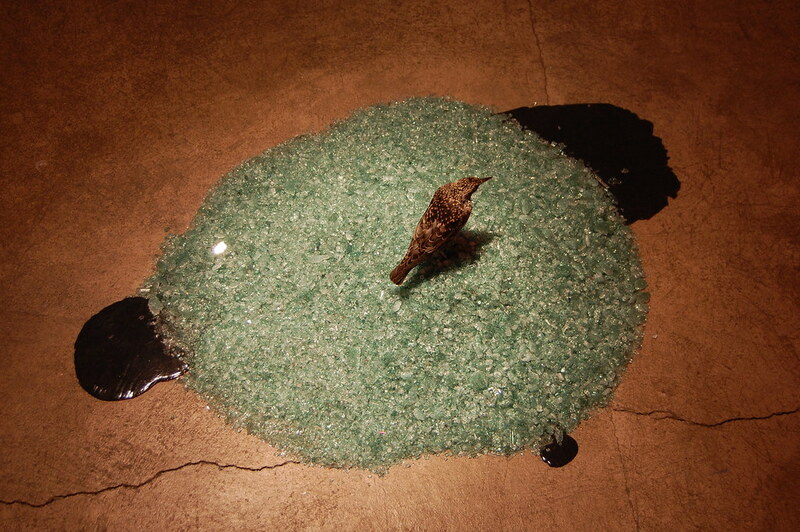 Yuri Masnyj, an American who shows with Metro Pictures in New York, had sculptures and drawings on display when we went. Most of their other artists are early to mid-career artists from Spain. Wires from some sculptures pierced into walls and remerged a few inches away. 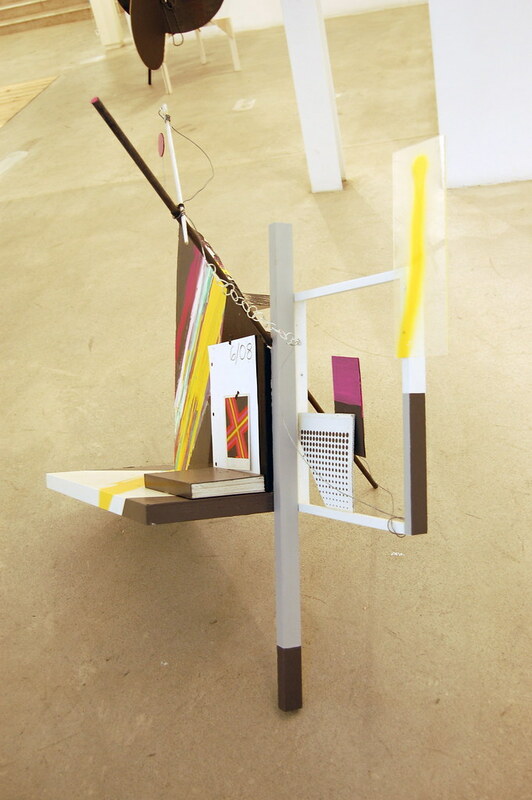 Plywood pieces, spray- and hand painted, then fused together, balanced precariously around the space. They just moved into a new space. Ambitious material in every way. Lien Carrazana and Lindomar Placencia Padron, two young Cuban artists, had a show up at this tiny, young (founded in 2008) space when we wandered in, looking for the mysterious courtyard on San Lorenzo featuring Elba Benítez and Heinrich Ehrhardt. 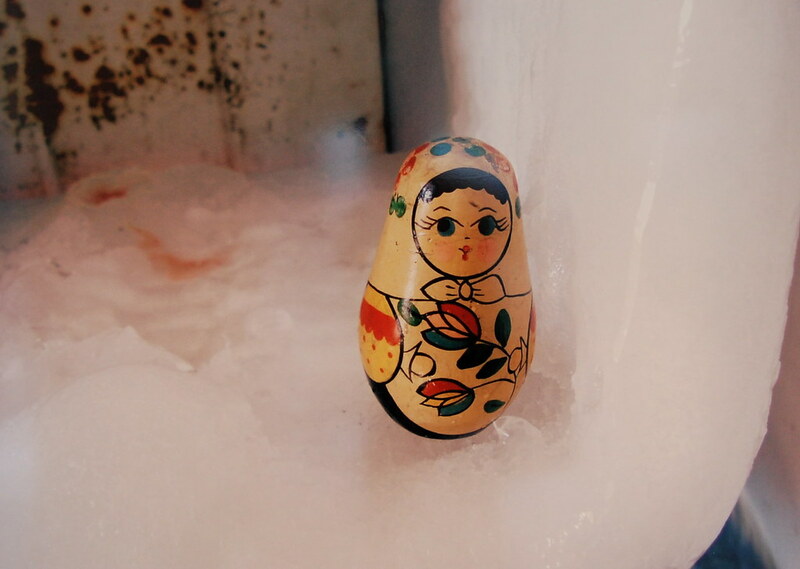 The former provided still life, color photographs of subtle mysteries (a Matryoshka doll sitting comfortably in an ice box), the latter two short videos: an endless loop of a woman descending an escalator, a series of windows. It turns out the entire roster is Cuban with birthdates floating in the late 70’s and early 80’s. I assume they can ship your purchase surreptitiously back to America. Let’s hope this works. The heavy, towering door of metal and opaque glass here makes even some formidable Chelsea venues seem comparatively inviting. Inside, though, it’s all warmth and friendliness. 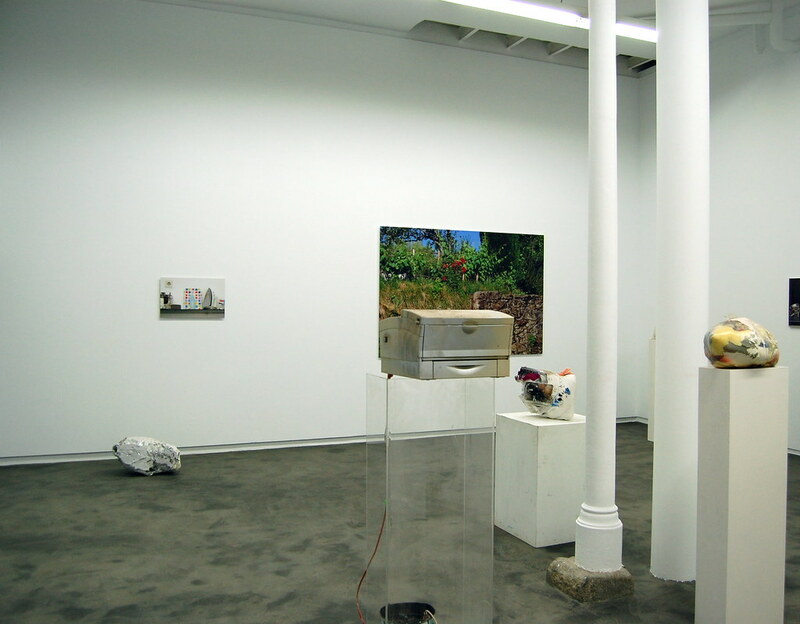 Volver, a group show of hefty sculptures and paintings, was up when we visited. 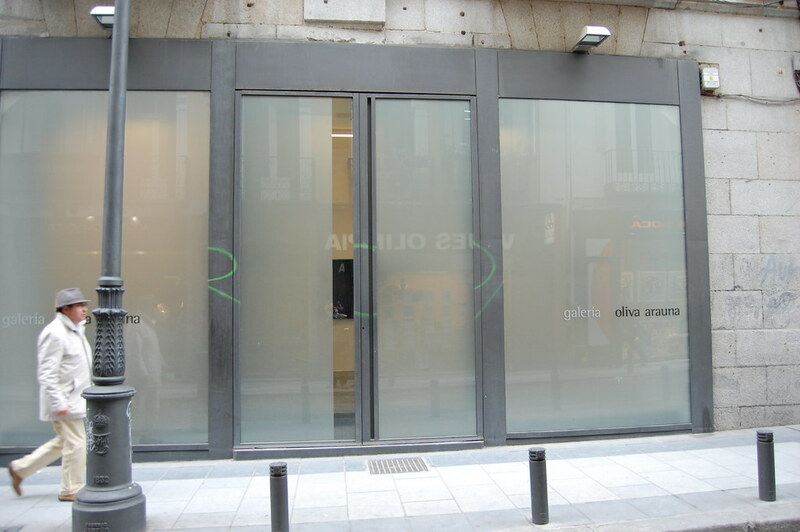 Alfredo Jaar popped up again and again around Spain, and it seems that Oliva Arauna is a major reason for that. They've been showing his work for twenty years.